Sister Mary Catherine Ruth McTierney of Boston, Massachusetts, has found herself smack dab in the middle of a huge controversy over whether the Higgs boson or God particle even exists. Physicists have been credited with finding the existence of the particle at CERN (European Organization for Nuclear Research) in Switzerland. But until this week, it was still very difficult to replicate. However, doctors at Catholic Health East claim that they have found evidence to suspect that the Higgs boson not only lives outside the human body, but may also reside within the body. A DNA test performed on Sister Mary Catherine last month has come back with some amazing results. It would appear that she has evidence of the God particle within her DNA. Stephen Hawking, the famous physicist, has been brought on board to help confirm the finding. Imagine, we could all have the God particle within us without even knowing. But physicists called in to run further tests on the unusual find say not so fast. They claim there have to be certain criteria to even begin to suspect the God particle could lie within every human on earth. It seems to be passed down from generation to generation. In Sister Mary Catherine’s case, she is an 8th generation Catholic nun. Her great to the 8th grandmother seems to have directly inherited the God particle from the divine and passed it along to future generations. 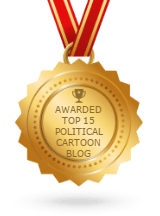 “But the truth of the matter is, this has been qualified by a qualified physicist, and an unusually large sum of doctors, without whom we could not have made this announcement. That, in and of itself, should be enough evidence to make non-believers, believers the world around,” he concluded. 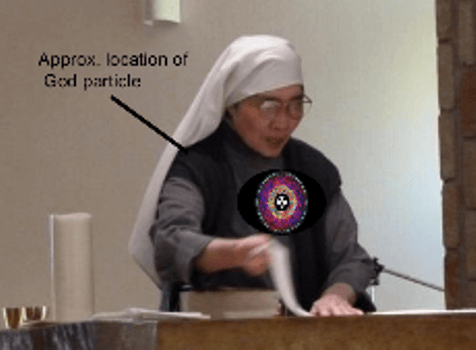 At the very least, according to the preliminary findings by the doctors working on this matter, if this turns out not to be the God Particle they believe they have found within the DNA of Sister Mary Catherine, it could at least be the lesser known Jesus particle, as yet not fully defined by physicists, but thought to exist one level below the God Particle. Further tests are expected to be undertaken to prove or disprove the existence of this rare particle in the nun’s DNA. In the meantime, Sister Mary Catherine continues to pray every day to an outer God, but says that now, knowing what she knows, she holds her hands to her heart and says an additional prayer to the God within, just for good measure.